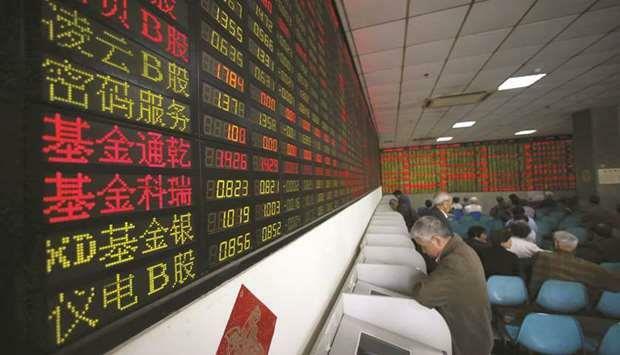 (MENAFN - Gulf Times) Asian stocks saw gains yesterday as US and Chinese officials in Beijing geared up for crunch trade talks aimed at averting fresh tariff escalations. Top US economic officials will travel to the Chinese capital this week for the third round of talks on Thursday and Friday, but deputies had already arrived and the White House said preparatory discussions were due to begin. 'There's a sense of urgency to this round, said Jeffrey Halley, senior market analyst at OANDA. 'If no deal is agreed by then, a belligerent President Trump and US Congress will be more than willing to simply extend the trade war so China will need to make the first move if they are to reach a detente, he added. Shanghai, reopening after a weeklong break, rose 1.4%. China has introduced a series of piecemeal measures in recent weeks, and right up to the Lunar New Year break, aimed at encouraging lending, supporting small and medium-sized businesses, and spurring investment into stocks and bonds. Hong Kong rose 0.7%, as Asian tech stocks tracked a small positive lead on the Nasdaq on Friday. Seoul edged up 0.2%, but Sydney shed 0.2%. Jakarta, Manila and Singapore also posted losses. Tokyo was closed for a holiday. Meanwhile, the International Monetary Fund warned governments to prepare for a possible economic 'storm as growth forecasts dip. It cited the trade row as one of four 'clouds overshadowing the global economy, along with Brexit uncertainty, the accelerated slowdown in China and financial tightening. 'The bottom-line — we see an economy that is growing more slowly than we had anticipated, IMF managing director Christine Lagarde told the World Government Summit in Dubai at the weekend. But Europe's stock markets shrugged off last week's sharp losses to rebound at the open. London gained 0.6%, Paris added 0.5% and Frankfurt rose 0.5%. Looming later this week is the spectre of a repeat of the 35-day partial US government shutdown that ended January 25 — the longest in the country's history. In Hong Kong, Hang Seng closed up 0.7% to 28,143.84 points and Shanghai — Composite ended up 1.4% to 2,653.90 points. Tokyo was closed for a public holiday.